OACRAO has three membership types to suit various populations interested in joining our organization. 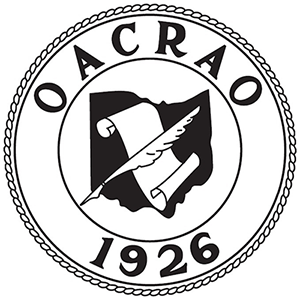 The OACRAO membership year is from September 1 through August 31. Institutional membership in OACRAO shall be extended to collegiate-level, degree-granting institutions of higher education in Ohio, and to other institutions of higher education as approved by the Board of Directors. Institutional members shall designate one or more individuals as voting members in such numbers and under such terms as specified in these bylaws of the Association. Honorary (lifetime) individual membership in OACRAO shall be conferred by the Board of Directors for members who have a minimum of ten years of active participation as an OACRAO member, who have ten years of services within an OACRAO member institution, and who have made outstanding contributions to the profession and OACRAO. Honorary members are entitled to all benefits that accrue to members, including voting and placement on the OACRAO permanent mailing list. Non-voting membership in OACRAO shall be extended, with approval of the Board of Directors, to Associate members and Corporate members. Associate members include retirees from OACRAO, graduate students interested in pursuing careers in the profession, and representatives of associations who have goals similar to OACRAO. Corporate Members include organizations or companies that are not eligible for membership as an institution. Benefits provided to the corporate member include consultation with Vice President/Program as a corporate liaison regarding issues and topics and inclusion in any official OACRAO membership roster.